Our beloved Madison crossed over to the Rainbow Bridge on October 26, 2015, after a short battle with liver cancer. Although she was only part of our family for a too short year and 4 months, Madison brought immeasurable love and joy to all who knew her; from our daughter’s friends to the crossing guard at her school to the public works guys on their trash route. 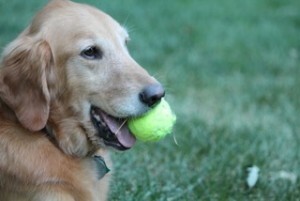 She was a connoisseur of tennis balls and an unapologetic counter/table surfer of great talent. We couldn’t even catch her licking her lips she was so smooth. Madison (also know as Mierd, the cutest thing ever, to our daughter) will be forever in our hearts.